3.Raphael, Scarlet Finch and Pirate Clothing are newly added here. 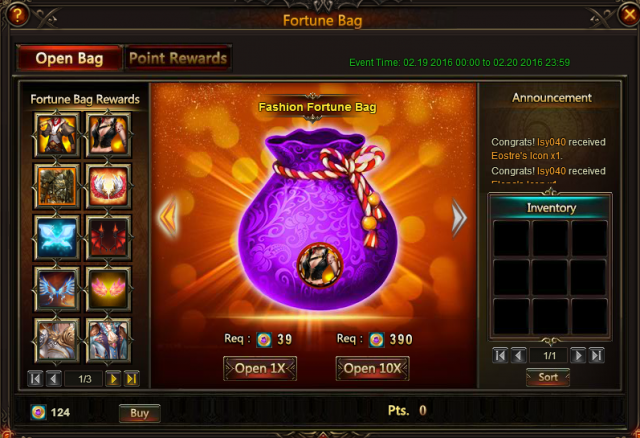 Pirate Costume, Rose Essence, Wedding Garb, Medieval Armor, Legacy,Cinderella, Majestic EXP Totem Chest, Purgatory Soul, Blessed Stone, Element Crystal and more will drop randomly! It contains many mounts and resources. 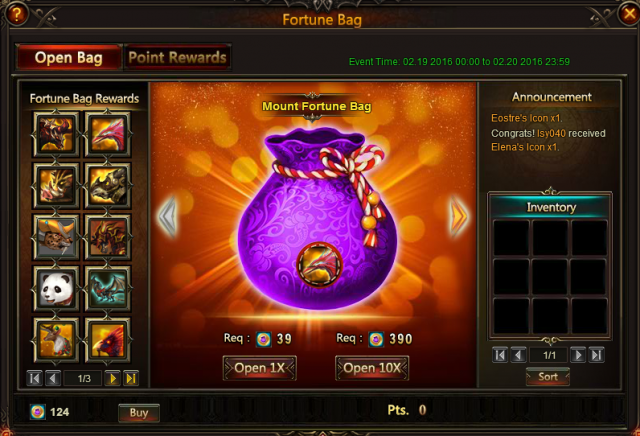 This time, you will have a chance to get Fiery Bull, Scarlet Finch, Ruthless Leopard, Rudolph, Smoldering Steed, Panda, Aegis Shards, Element Scroll, Energy Vitamin, Seraph's Stone and more will be there! 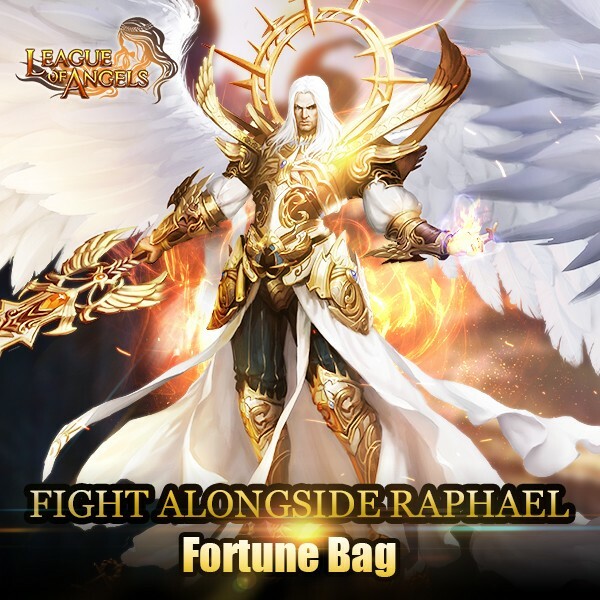 Many angels and resources will drop randomly when open; say Raphael, Varda, Varda Awakening Stone, Grace, Elena, Eostre,Fortuna Awakening Stone, Lvl. 4 Artifact EXP Card Chest, Lvl. 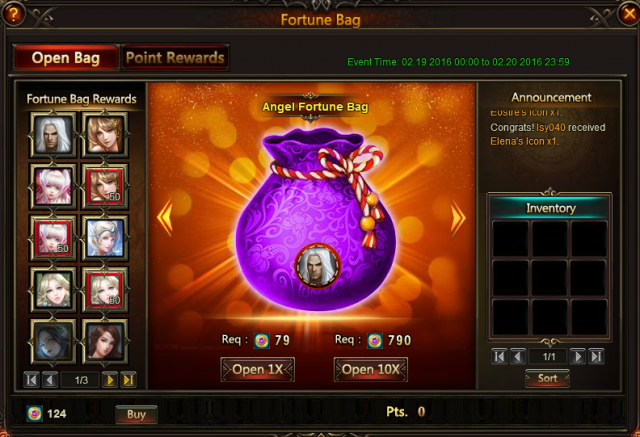 10 Cherubstone, Spring of Wisdom, Grotto Heart and Angel Tears. 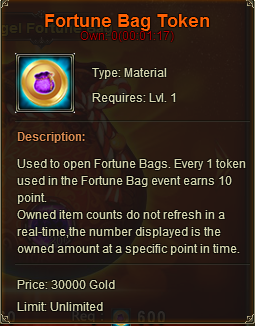 Pirate Costume, Cowboy Fashion, Medieval Armor, Superhuman, Wings of Rhythm, Intelligent Wing, Wedding Garb, Legacy, Khaos Core, Majestic EXP Totem Chest, Fashion Core Purgatory Soul and more will drop randomly from this bag. More exciting events are coming up through Feb 19 to Feb 20 (Server Time), check them out in the in-game Hot Events menu now!